PHILADELPHIA, May 16, 2018	(Newswire.com) - The 92ndStotesbury Cup Regatta Presented by Toyota is moving from the Schuylkill River in Philadelphia to the Cooper River in Camden, NJ. On Monday night and early Tuesday morning, the Schuylkill Navy’s Regatta Leadership Team made the decision to move the entire regatta eight miles east with the help of partners and longstanding friends at the Camden County Boathouse. The rainfall over the past few days, combined with the forecast rainfall over the next several days will cause the Schuylkill River to rise to levels that may preclude safe racing. The decision to move the Regatta to the Cooper is based on longstanding Schuylkill Navy priorities of safety and fair competition. With the support of hundreds of volunteers, officials, sponsors and business partners, the cherished opportunity to compete in the world’s largest high school regatta can be preserved for the almost 6,000 athletes scheduled to participate. "We are in the third century of conducting our events, sometimes under very challenging conditions," said Schuylkill Navy Commodore Paul Horvat. "Our paramount responsibility is the safety of our athletes. We are fortunate to have an excellent alternative venue available on the Cooper River." Sponsors and business partners have moved quickly to support the move and aid. "Our commitment to the Stotesbury Cup Regatta and the rowing community is part of one of our most important partnerships," said Paul Muller, of the Tri-State Toyota Dealers Association. "Toyota is excited to continue this relationship and assist the Regatta in allowing the many student-athletes to compete on May 18 and 19. We look forward to cheering them on." Making sure that the complex logistics of a large-scale event such as the Stotesbury are accomplished at a high level of quality is essential. RowAmerica – the dock sponsor of the Stotesbury Cup Regatta – has committed to moving the dock components from the Schuylkill (where they hosted the Dad Vail Regatta rowers last weekend) to the Cooper River. "We are proud to partner with the Schuylkill Navy and have the opportunity to exhibit our state-of-the-art dock system," according to Howard Winklevoss, CEO of RowAmerica. "Helping them get these athletes on and off the water in a safe manner is what we are all about." Jamie Stack, Executive Director of the Camden County Boathouse noted that this is the largest event the Cooper has staged. "We have many, many rowing events here. It is a wonderful opportunity to host the world’s largest high school regatta," said Stack. "As soon as the Stotesbury organizers called, we knew that we would be proud to help our friends. That is what rowers do." The Stotesbury Cup Regatta is this Friday and Saturday, May 18 and 19. Admission is free. 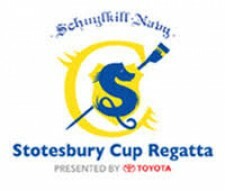 See www.stotesburycupregatta.com for more. The Schuylkill Navy of Philadelphia is the governing organization for the rowing community in Philadelphia. Founded in 1858, it is the oldest amateur sporting association in the country and is chartered by its member clubs on Boathouse Row and upriver "to secure collective action and promote amateurism on the Schuylkill." Through the Schuylkill Navy Series of regattas and races, it has staged over 600 events, most dating back to the mid-19th century. Additional information is available at http://boathouserow.org.